These coconut trees are silhouetted against the afternoon sun on the North Shore of O'ahu . 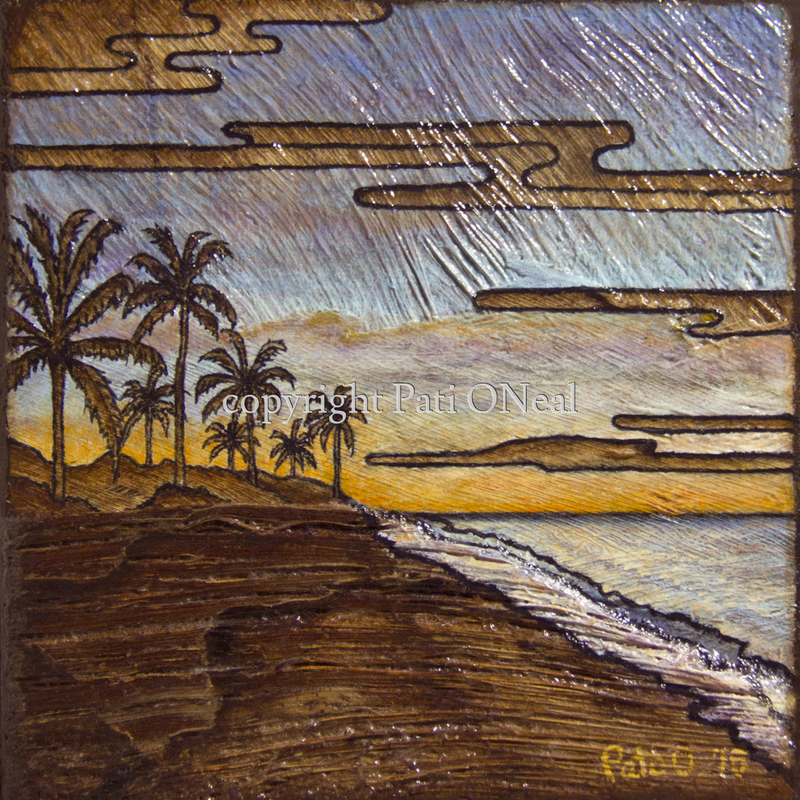 This painting is done on a specially prepared background of guinit (coconut tree fiber) mounted on a cradled panel. Original is sold. For a similar commission, contact the artist.